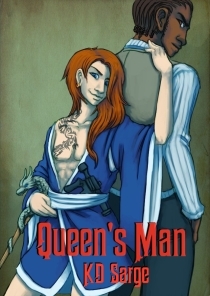 This week we’re celebrating the launch of Queen’s Man by KD Sarge, a science fiction novel from Turtleduck Press. Full disclosure: Turtleduck Press is an indie publisher running on a co-op model. All the members are both authors and part of the business — I’m the editor, KD is the webmistress, Kit Campbell runs the business end, and Erin Zarro is the marketing guru. Joss Ravid works security for a major tribe on Kari’s Star, but he’ll tell anyone that he doesn’t actually care if the ruling families kill each other off. He’s not interested in politics; he just likes getting paid to hit jerks, and also the many opportunities for hitting on straight men. The Galactic-imposed Interdiction may keep Kari citizens stuck on their war-torn world, but Joss has connections. If the situation gets too messy, he can leave whenever he wants. When Paige is kidnapped, though, the lives of Paige and Zeke, the leadership of Cayden and the future of Kari’s Star all ride on the wrinkled shoulders of Joss’ work suit and he has to decide—does he care, or not? 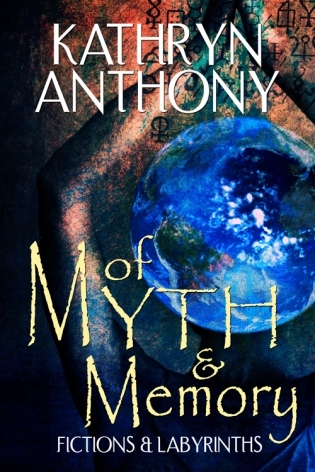 You can read the first three chapters for free here, and buy it at Amazon.com for your Kindle or at Smashwords in your e-format of choice. Read more about KD on her Turtleduck Press author page, or check out her previous novels, Knight Errant and His Faithful Squire.